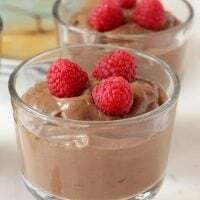 I'm so excited to share this recipe from my friend, Mary. I decided to call it Mary's Vegetable Soup... it's all hers. She and I go way back as she was there when I went into labor with my first child who is now 31 years old!! What's cool is that Mary who is a fabulous jewelry designer, and her husband, have joined me in their plant-based journey for health, the environment and animals. And, they're both great cooks. Mary loves to make recipes with a little of this and a little of that and this works especially well with soup. 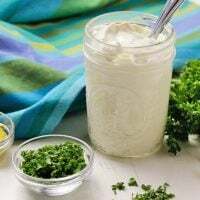 The flavor is fantastic and the ingredients are so full of nutrition. Mary likes to make a large amount so they have leftovers for the week and sometimes freezes the extra. I hope you have your glass containers for storing extra in the freezer. 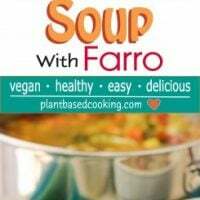 She and I are working on a Recipe-Free Plant-Based Soup ebook with instruction for making soup without a recipe. It will also contain 15 delicious plant-based, vegan soups (she's also a fabulous illustrator). Look for that soon. I like to encourage people to experiment with recipe free meals. It takes the stress off of making it perfect, and you can use whatever you happen to have in your pantry or fridge. 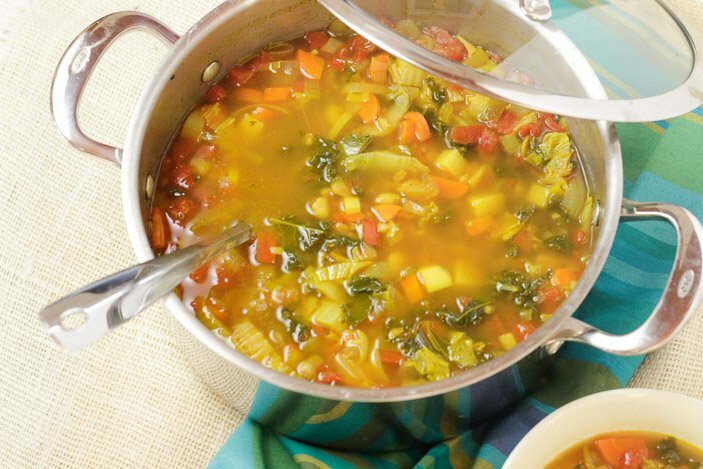 Warm your winter months with more soups! I think you'll love the flavor of this soup. It has kale, napa cabbage, cannellini beans, tomatoes, carrots, peppers, farro and more.If you haven't tried farro, it's a whole grain that's a wonderful substitute for rice. Farro gets an A-plus nutritional rating. 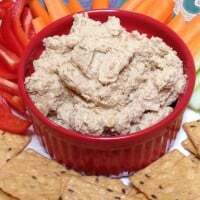 It's nearly fat-free and completely cholesterol-free, making it a heart-healthy choice. 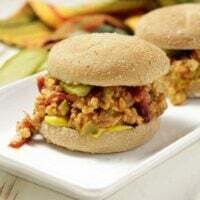 And, it also includes a little turmeric to help reduce inflammation. If you have your pantry stocked well with canned beans and vegetable broth, it should make it easy to get this meal on the table. 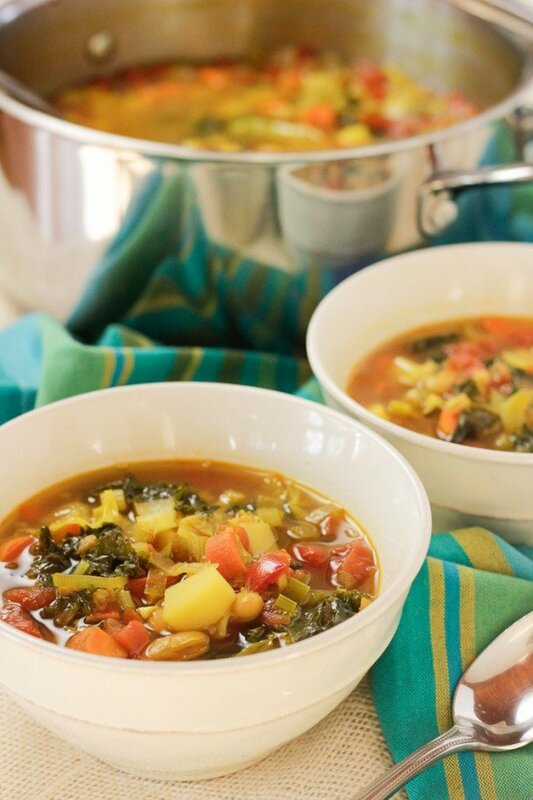 I'd love to hear your feedback in the comments below for this Mary's Vegetable Soup Recipe! If you have a photo, post it on my Instagram page, tag me using the hashtag #plantbasedcooking in your caption, and I won't miss it! 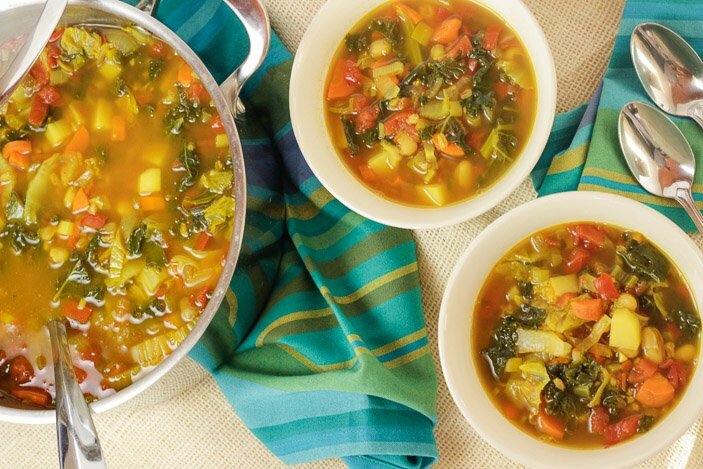 This Mary's Vegetable Soup recipe is chock-full of nutrient-dense vegetable and includes creamy cannellini beans, kale, Napa cabbage, and more. If you haven't tried farro, it's a wonderful substitute for rice with a chewy bite that's whole grain. In a large stockpot, sauté leeks, onion, celery, carrots, potatoes, garlic in about 1/4 cup vegetable broth. Add a pinch or two of salt and pepper as you go, stirring occasionally until onions turn translucent. Add the remaining ingredients --2 ½ boxes vegetable broth, kale and/or spinach, diced tomatoes, cannellini beans, corn, farro, and all seasonings.